You can add friends in Steam. Steam has systems to make it convenience between friends such as chat system, gifts sending system, and game invitation system. 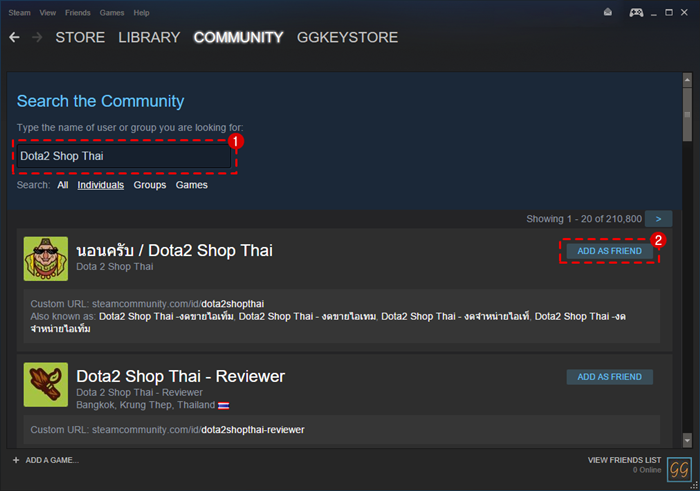 Note: New Steam ID cannot add friends right away. 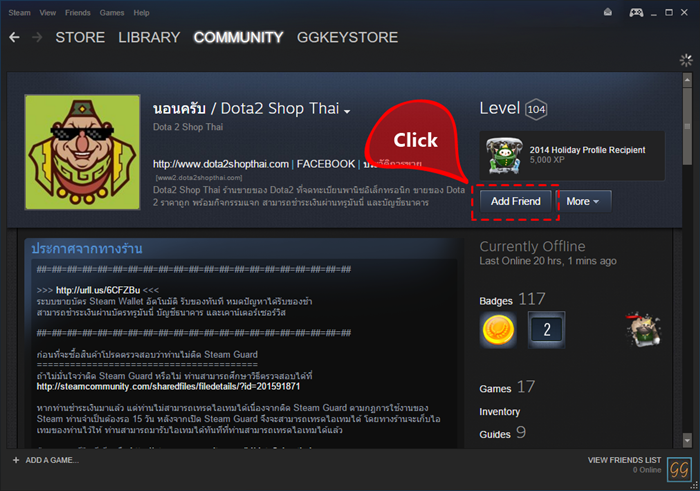 It is necessary to top up Steam Wallet at least $5 or 200 Baht to unlock Limited User Accounts in order to add friend. 3. Enter the name of your friend whom you want to add in box number 1 and click ADD AS FRIEND. Then, it is done. 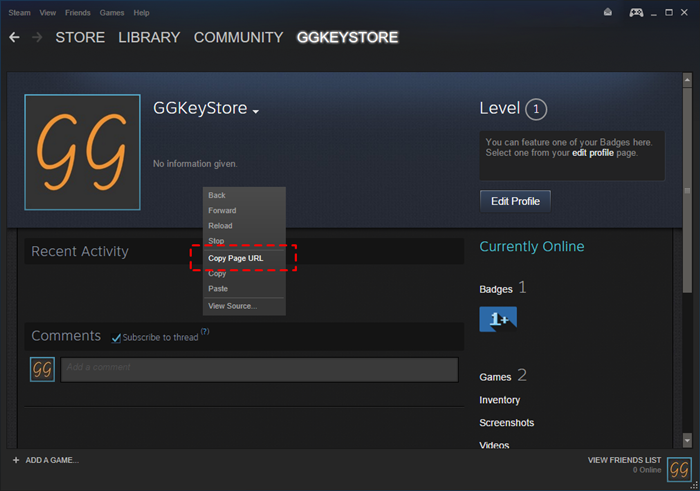 Note: A searchable name is a Steam ID that has already been unlocked as Limited User Accounts. 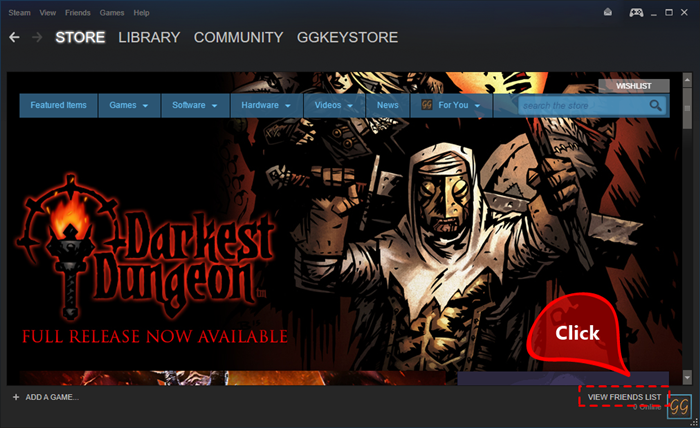 If the Steam ID of your friend has not been unlocked, please see the suggestion at the bottom of this article. In case the name of your friend has several matches, please click at each name and check the profile before you click Add Friend. 1. Tell your friend to go to profile page by clicking his/her name on the top. 2. Right click on blank space and choose Copy Page URL. 3. Ask your friend to send that URL to you. Then, you can add your friend immediately through web browser.